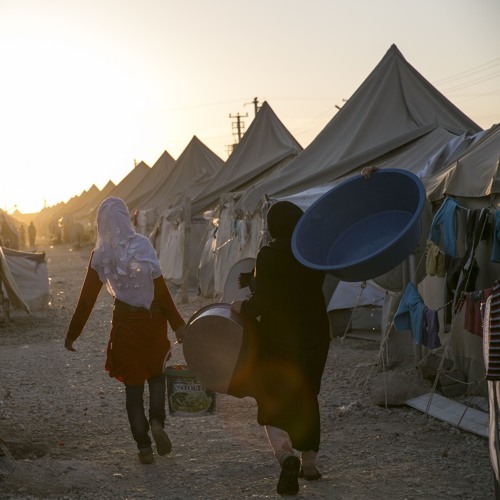 Refugee Law Initiative's 9th International Refugee Law Seminar Series Speaker: Alison Harvey, Barrister, No5 Chambers Date: 23 January 2019 Abstract: Is it time to stop putting Refugee Status Determination (RSD) at the heart of the refugee response? What scope is there for using prima facie recognition of refugee status, in line with the UNHCR's eleventh guideline on international protection, in OECD countries such as the UK? Taking a balance sheet approach, this talk will disentangle prima facie recognition from temporary protection and consider its relationship with a resettlement response and with definitions of a refugee, with reference to the Organisation of African Unity (OAU) Convention governing the specific aspects of refugee problems in Africa and the Cartagena Declaration. Speaker: Alison Harvey has returned to practice from the Immigration Law Practitioners’ Association where she was General Secretary, then Legal Director. She trains, lectures and writes widely on immigration, asylum, nationality and human rights law. She is a contributor to Fransman’s British Nationality Law and to Macdonald’s Immigration law and Practice. She has worked in the UK and overseas, representing clients before the Home Office, tribunals and courts, including working at the Refugee Legal Centre, Asylum Aid, and South West Law. She has worked with refugees, the internally displaced and the trafficked for the UN in West Africa, Darfur and Azerbaijan. She has worked extensively on the development of immigration law and policy in the UK, advising those lobbying on, and challenging, a total of nine immigration Acts (to date) as well as on the development of the points-based system and the immigration aspects of Brexit. Recent training credits include ‘The Immigration Act 2016’, ‘Nationality Law is Fun’ and ‘Advanced Naturalisation’ for the Immigration Law Practitioners’ Association and ‘Trafficking: identifying and assisting victims’ for Free Movement. She is co-chair of the Trustees of Kalayaan, working with overseas domestic workers, and led for Kalayaan in its work with its legal team for its intervention in the Supreme Court in the Reyes case. She has been appointed Special Advisor to the Joint Committee on Human Rights for its enquiry Detention of Windrush Generation. Users who like Is it Time to Stop Putting Status Determination at the Heart of the Refugee Response? Users who reposted Is it Time to Stop Putting Status Determination at the Heart of the Refugee Response? Playlists containing Is it Time to Stop Putting Status Determination at the Heart of the Refugee Response? More tracks like Is it Time to Stop Putting Status Determination at the Heart of the Refugee Response?